IMAGINE a new musical instrument that can play any sound you like. Surely that would sound quite different from the stuff most musicians pump out routinely. But seriously: how about something REALLY new for a change, because that’s what this compilation is all about. Sounds you’ve never heard before. Call it ‘xenharmonic’ music (or if that’s too hard just call it ‘off key’). 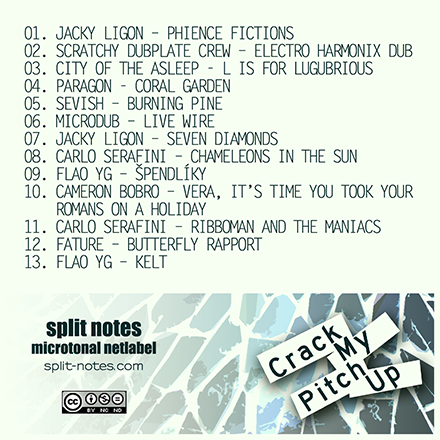 The music on ‘Crack My Pitch Up’ has a unique feel to it because it doesn’t use the familiar Western 12-tone scale. When you crack your pitches up smaller and smaller, you find many more musical options to compose with. In other words there are many surprises down the cracks of the piano keys. The 12-tone scale exploits one fact about how we humans appreciate music; pleasant or ‘consonant’ sounds are mathematically simple. For 2 or more different pitches being played at the same time, when the ratio of their frequencies uses simple low numbers, we hear a pure and blissful harmonious sound. The 12-tone scale has many of these ratios (and it’s simple to learn and play). This fact has made the 12-tone scale a common and universal kind of harmony. But the 12-tone scale doesn’t have anything new to express today. Because most instruments are built for 12 notes (think guitars and pianos) musicians in the West have explored this and little else. After all for some time it was expensive to build xenharmonic instruments – but now anybody can do it with a synthesizer and some software! This is definitely a fun time to be a music fan or musician. The musicians who contributed to the project are: Jacky Ligon, City of the Asleep, Scratchy Dubplate Crew, Carlo Serafini, Flao YG, Fature, Cameron Bobro, Paragon, Sevish and Microdub. There are different kinds of harmonies. The 12-tone scale is just one kind and you are welcome to explore the rest with us. 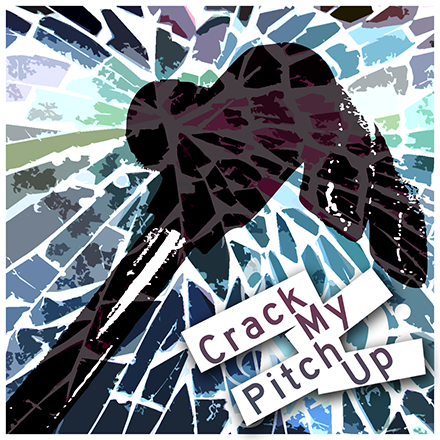 Crack My Pitch Up is licensed under Creative Commons Attribution-Noncommercial-No Derivative Works 3.0 Unported. The copyright of each track remains with each respective composer.